select *, DATE_FORMAT(birthday, "%b %e, %Y") as _birthday, DATE_FORMAT(died, "%b %e, %Y") as _died, MONTH(birthday) as month_birth, DAY(birthday) as day_birth, DATE_FORMAT(birthday, "%b %e") as _birth_day_month from agatti_people where agatti_people.u_name = "paul-muni"
Shares birthday with Martha Scott, John Houseman, Erich von Stroheim see more.. Legendary actor, Paul Muni, was born Meshilem Meier Weisenfreund on Sep 22, 1895 in Lemberg, Galicia. 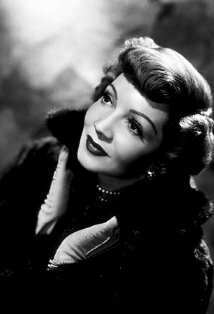 Muni died at the age of 71 on Aug 25, 1967 in Montecito, CA and was laid to rest in Hollywood Forever Cemetery in Hollywood, CA. Paul Muni was born Frederich Meshilem Meier Weisenfreund on September 22, 1895 in then-Lemberg of the Austro-Hungarian Empire now present day Lviv, Ukraine. He was born to Jewish Parents, Salli and Phillip Weisenfreund, both of whom were traveling actors, who toured the Austro-Hungary country side, performing plays, dances, and songs for Yiddish-speaking villages. Because of this, Muni's first language was Yiddish. In 1902, when Muni was seven, he and his family immigrated to the United States and first settled in Chicago before touring the east coast. His parent immediately became involved with the Yiddish theatre community in their new country and were eager to get their son involved as well. He made his stage debut at age of 12 playing the role of an 80 year-old man at the Yiddish Theatre in Chicago. Thanks to Muni's strong talent for creative make-up, he was able to play the role with more believability than to be expected of a pre-teen boy. This transformative skill with make-up would help later in his career tremendously and give him his start in the industry. For the next few years the young Muni made his way up and down east coast, joining his parents in local Yiddish Stock Companies. After years of touring, Muni was noticed by the actor Maurice Schwartz. Schwartz had recently founded the Yiddish Art Theatre and in 1919 Schwartz extended an invitation to Muni. By the 1920's Muni had risen to be one of the preeminent stars of the Yiddish theatre. He continued to refine his make-up ability, still often cast as much older man than himself. 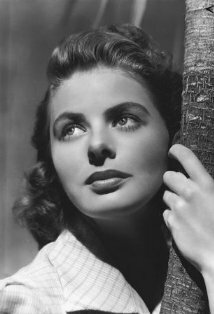 During this time Muni also met and married Bella Finkel, a fellow actress in the Yiddish circuit. Their's proved to be a lasting union as the pair was together until Muni's death in the late 1960s. By 1925 Muni had already been singled out by major new organizations, such as the New York Times, as one of the highlights of New York Yiddish Theater community. 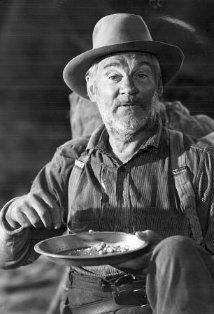 In 1926 he made his Broadway debut in the Sam Forrest staged We Americans playing an elderly Jewish man. The play also marked the first time the 30 year-old had ever acted in English. He continued to grace the Broadway stage; the next year appearing in the George Abbott penned and directed Four Walls. Soon after, Hollywood began to take notice of the versatile "new" actor. In 1929 Muni took a break from the stage to answer the calls from Hollywood. 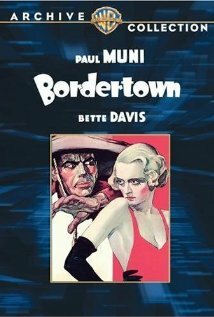 He was then signed to Fox who simplified his stage name from Muni Wisenfrend, which he had been using for much of his acting career, to now more familiar Paul Muni. 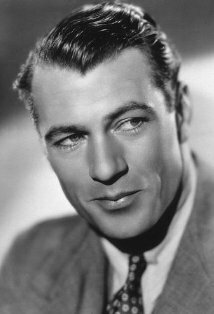 He made his film debut in the 1929 mystery drama The Valiant. Although the film didn't fair well at the box office, it and Muni became quite critically acclaimed. For his effort, Muni would receive an Academy Award nomination for his very first film. Muni's skill with make-up was demonstrated front and center for his second film, Seven Faces, in which he played seven different roles. Once again, although Muni was met with critical acclaim the film was a financial failure. Disappointed in the roles offered to him, Muni returned to New York for the comforts of the stage. In 1930 Muni returned to Broadway and appeared in the mediocre Leo Bulgakov play This One Man. The next year he appeared in the equally forgettable Rock Me, Julie. For his next play, Muni starred in the Elmer Rice's production of Counseller-at-Law. In the play Muni played attorney George Simon, attempting to hide his Jewish heritage as well as his lower-class background from his co-workers. The play was a major hit and helped launch Muni's career profile. He was once again approached by Hollywood. In 1932 Howard Hawks was convinced Muni was the man to star in his next project, the gangster classic Scarface. Muni, however, disagreed and only after months of Hawks relentless pursuance and his wife's pushing, did Muni finally agree to star in the film. Ever the professional, though, once Muni accepted the role he threw himself into it and soon began to devour any and all material about the Scarface's main influence, gangster Al Capone. The results were astounding. The film itself was a hit, no doubt due to the controversial amounts of violence and supposed glorification of the criminal lifestyle. For the role of Tony Camonte, the slim statured Muni wore a padded suit and four-inch lifts to effectively play the role of a brutish gangster. Later that year he starred in another close-to-life movie, I am a Fugitive From a Chain Gang, based the exploits of Robert Burns, a Georgia chain gang prisoner who escapes his hellish treatment in the corrupt and unjust Prison-system of the south. The film acted as a biting social critique on the American Prison system, opening many of the public's eyes to injustices brought upon these prisoners. It was a huge hit both financially and critically, raking in three Academy Award nominations including Best Sound Recording, Best Picture and another Best Acting nomination for Muni. Based on his performance in Scarface and I am a Fugitive on the Chain Gang, Warner Brothers immediately signed Muni to a long-term contract and dubbed him "The screens greatest actor." They quickly cast him in sprawling drama The World Changes, which brought the actor more critical praise. He demonstrated his versatility as actor in 1934 with the comedy Hi, Nelli, showing the world he could make them laugh as well as cry. In 1936 Muni used his influence at Warner Brother's to produce its first historical biography, The Story of Louis Pasteur with Muni playing the pioneering scientist. His portrayal of the nineteenth century chemist once won the praise of trade papers and would end with three nominations including Best Screenplay, Best Picture, and Best Actor. At the 1936 Oscar Ceremony, Muni walked away with Best Actor statue at hand. 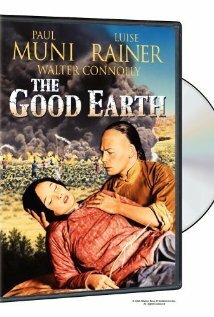 He then reluctantly starred romantic-drama The Good Earth, playing the part of the Chinese farmer, Wang. 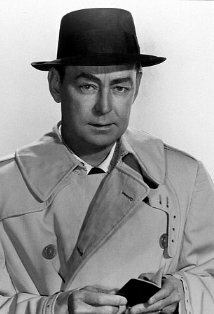 When approached to play the role, Muni was tremendously apprehensive, stating "I'm about as Chinese as Herbert Hoover." He ventured back into familiar territory with the historical bio-pic The Life of Emile Zola. The film was great financial and critical hit, ending up with 11 Oscar nominations and including Best Picture and Best Actor for Muni. His next was yet another historical biography as Mexican President Benito Juarez in Juarez. The film was not nearly as successful as his first two biopics and after starring in the forgetful films We Are Not Alone and the Fox loan out Hudson's Mission, Muni grew tired of Hollywood and chose not to renew his contract, headed east towards Broadway instead. Dissatisfied with the Hollywood life, returned to the New York stage in 1940 with the drama Key Largo. 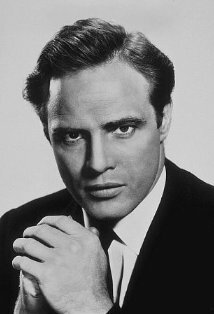 He would remain based in New York for the much of decade, occasionally returning to Hollywood for a films. 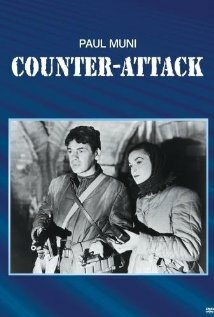 During World War II he aided the Allied cause by appearing in the films Hudson's Bay and Commandos Strike at Dawn. During this time he also starred in two Broadway plays Yesterday's Magic and a revival of his past hit Counsellor-at-Law. He returned to Hollywood to star in yet another historical biographical picture, A Song to Remember, as Professor Joseph Elsner, the piano teacher that would guide the young Chopin through his formative years a musician. He then returned to Broadway, finishing the decade with the plays They Knew What They Wanted. In the late 1940s Muni began to appear on the reflectively new medium of television. By the 1950s TV was where Muni spent most of his time and could be seen on series such as The Phlico-Goodyear Television Playhouse, The Ford Television Theater, and Playhouse 90. 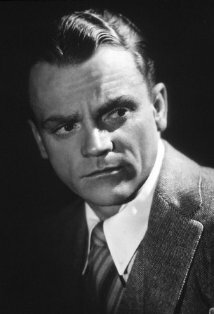 In 1955 he did make one last stop at Broadway to star as Henry Drummond in the original Broadway production of Inherit the Wind. For his final Broadway performance, Muni won the Best Actor Tony Award. He made his last big screen appearance Daniel Mann drama The Last Angry Man. For his final silver screen performance, Muni was nominated for a Best Actor Academy Award. Other than James Dean, Muni is the only actor to be nominated for his and last screen performances. His health already starting to fail, he would retire from acting in 1962, after making his final acting appearance on the TV series Saints and Sinners. Muni spent the rest of his years in quirt retirement with his wife, Bella, in California. Paul Muni died on August 25th, 1967. He was 71 years old. Paul Muni was nominated for six Academy Awards, winning one for Best Actor for The Story of Louis Pasteur (as Louis Pasteur) in 1936. Eddie Kagle: Wipe that smile off your mug! ?mile Zola:: Why didn't Picquart say anything? Lucie Dreyfus: Colonel Picquart is a good officer. He kept silent at the request of his superiors. ?mile Zola:: You mean they KNEW and they ordered him to suppress the truth? Why,that's monstrous! ?mile Zola:: I shall tell the truth. Because if I did not, my nights would be haunted by the spectre of an innocent man expiating under the most frightful torture a crime he never committed. Of the six actors to receive Best Actor Academy Award nominations for their first screen appearance, he's the only one to eventually win a Best Actor Oscar during his career. Of the other five, Orson Welles won an Oscar for Best Screenplay, Alan Arkin eventually won an Oscar for Best Supporting Actor and Montgomery Clift, Lawrence Tibbett and James Dean never won. Suffered all his life from a rheumatic heart. 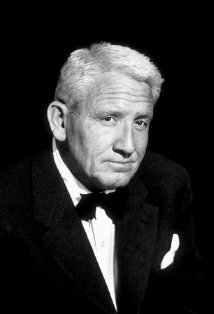 Received Oscar nominations for both his first and last screen performances (The Valiant (1929) and The Last Angry Man (1959)).